LuQas mix has also been getting big support from me... Peak time business!" "Good stuff. Original remix is the one for me!" 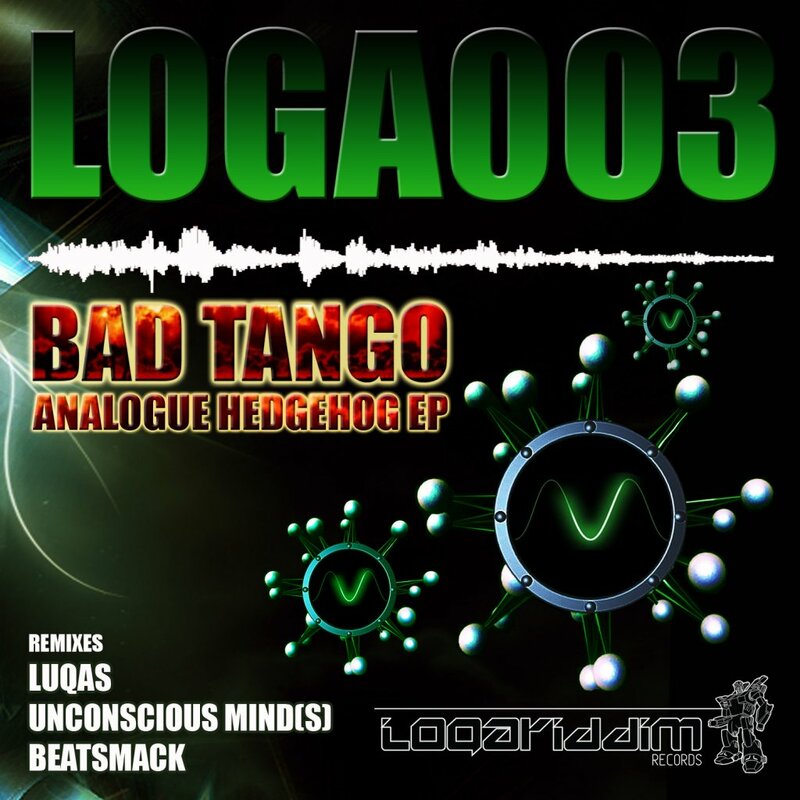 "Another Quality release from Logariddim, There is no mistaking Bad Tango's signature sounds in Analogue Hedgehog and all 3 of the remix do the original justice"
"The Luqas remix is tight, but overall Its gotta be Bad Tango's original! Love his style and will be dropping this mix real soon." "Loving this - BT manages to squeeze so much damn groove and strut into his tracks... awesome stuff. It's all about the original for me on this - top notch work"
"Wicked psy breaks single... all mixes are awesome! Full support from me!" "Luqas mix all the way. But I think the whole package is a great one!" "Really great package - so much quality! Big support from me!" "Quality package as always. Really digging every track here and will be supporting in my sets. Difficult to pick a favourite but if I had too I'd probably have to go for the original. That Tango man is awesome." "Niceee, this is another huge release by Logariddim ! Whole package is great but original and Luqas mix are mostly my taste! I'm def gonna be spinning those a lot! Full Support." Bad Tango has created a groovy monster of a tune and his unique style has reached rapidly a massive fan base in the tech-funk community. After serving us a great remix for our 1st release, he’s back on Logariddim with one of his first original tracks. Analogue Hedgehog stretches out his spikes and pins you down with squelchy deep psychedelic breakbeats. Psybreaks Mastermind LuQas gives his Logariddim debut with a storming version of the analogue hedgehog. This peaktime meteor will impact deep into the dancefloors. Luqas shows us, why he counts to the top artists on the psybreaks olymp. Another insane creation comes from Unconscious Mind(s) with his unmistakeable psychedelic style. His interpretation of the Hedgehog shows us a new edge of the tune. This one goes deep into your consciousness. Last but not least, Beatsmack from Australia delivers us a beefy version of AH. If you like your beats big, this is the one for you. The aussie duo combines nuskoolbreaks and dubstep and mashed it up to a perfect floorfiller.